The fur has really been flying lately at Amazon UK over reader reviews for Jean Harlow: Tarnished Angel by David Bret, which began popping up earlier this month. Why all the hub-bub? Apparently, even more controversial than the author himself, are the accusations made by Bret that reviewers never actually obtained and read the book before offering negative feedback. "You are reviewing a book, you moron, which has not even been published! Serialisation has held back publication until after 14 May, so you cannot possibly have seen it. Reviewing a book before its time, let's hope you die prematurely too." "I would just like to make this very important point about any reviews for this book PRIOR to 14 May. No one who has reviewed this book before this date has seen it--IT IS NOT TO BE PUBLISHED UNTIL 13 MAY, and because of serialisation rights will be kept under tight wraps until this date. 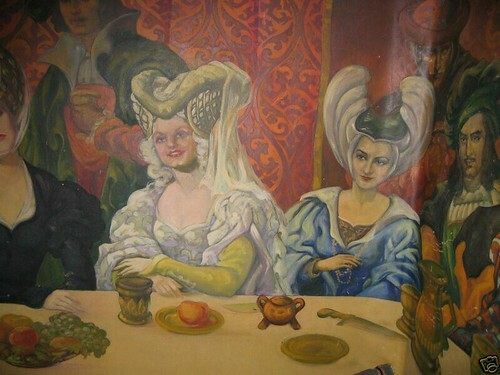 As usual, these are a group of fake reviewers, some from the Carole Lombard Forum, some from Lanza Legend, out to discredit me--you can therefore expect to see much of the same over the coming weeks, and they will all mention David Stenn." 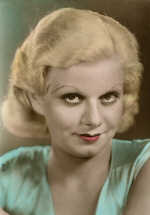 "WHILE I HAVE NO COMMENTS TO MAKE ABOUT THIS BOOK, I WOULD LIKE TO POINT OUT THAT FANS OF THIS AUTHOR ARE BEING VERY UNFAIR TO REVIEW MY BIOGRAPHY OF JEAN HARLOW, BAD REVIEWS WHICH BEGAN APPEARING 1ST MAY, PARTICULARLY AS THE BOOK IS UNDER EMBARGO (SERIALISATION) AND CANNOT POSSIBLY BE SEEN BY ANYONE UNTIL AT LEAST 14 MAY!!!" Apparently several reviews posted before mid-May have mysteriously disappeared from Amazon's site after Bret's outbursts. Yet, according to Amazon, the book's publication date from JR Books Ltd. was slated for April 16, 2009, a date that remains on the site today. If an embargo was put into place, someone forgot to tell their distributor. One UK customer confirmed to The Platinum Page that she ordered the book in late April and was notified by Amazon that it would be dispatched by April 27 and delivered by May 2. Clearing the alleged May 13-14ish embargo, this past weekend Tony Rennell at the Daily Mail published what I would call an overview rather than review of Bret's book, titled "The first celebrity car-crash life: Starlet Jean Harlow, the 1930s man-eater who never wore underwear." Now, not having read Bret's book yet (making me Rennell's target audience) but having some knowledge of Harlow's life and personality, this piece left me feeling like I was having a 1965 flashback to Irving Shulman's highly fictionalized rendition that caused equal amounts of controversy back in the day. "The original 'blonde bombshell', with peroxide platinum locks and a sassy face that sent men wild and women racing to their hairstylist to copy her look, is barely remembered now. Not one of the three dozen films she starred in would figure in even the most arcane cinema buff's top 100 list." Maybe it's a UK thing, but I don't consider the American Film Institute, who ranked Harlow #22 in its Top 100 Legends, arcane. A simple Google search of her name yields 689,000 internet references. We should all be so forgettable. But I digress. It's very easy for any knowlegable Harlow fan, myself included, to get caught up in reading or participating in a passionate online rhubarb over the actions and reputations of both the author and his subject. It's become practically unavoidable. And nothing of real value can be gained by simply highlighting the mudslinging. So what's the alternative here? Call me crazy, but I say try to be objective and go on a fact finding mission. I've previously read the Harlow biographies by both Stenn and Eve Golden, and after doing so conducted Q & A with each author in order to give readers insight into the logic of the authors' research and conclusions in their own words. I'm currently in the process of doing the same for author E. J. Fleming's new book Paul Bern: The Life and Famous Death of the MGM Director and Husband of Harlow, with the cooperation of his publisher, McFarland. In the interest of the fairness that Bret has adamantly stated he's not been afforded, I recently emailed his publisher's publicity department to request a review copy of Tarnished Angel and a opportunity to conduct a professional, legitimate interview with Bret about his work. The story here, when I look at it not as a Harlow fan but as an experienced journalist and researcher, isn't necessarily the content of the book or the author's reputation. Although that's certainly a part of it. It's more about finding out why and how the book was conceived and written, what is its purpose, how were conclusions made and what, if any, new information the book brings to the table. The only person who can answer these types of questions, hopefully without the previously demonstrated anger and insults, is the author.